The River Otter near the Old Mill at Tipton St John. 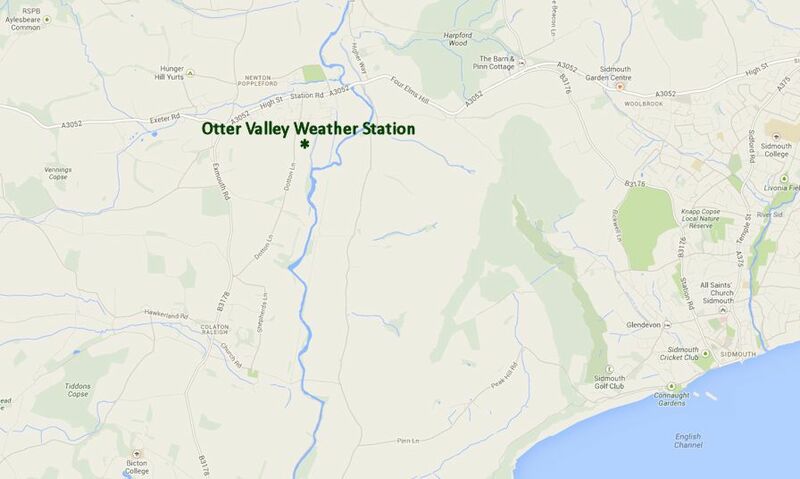 The Otter Valley Weather Station was setup in May 2005 and consists of a set of Met Office approved sheathed minimum and maximum thermometers, plus a wet & dry bulb hygrometer (using a humidity calculator) housed in a Stevenson Screen. 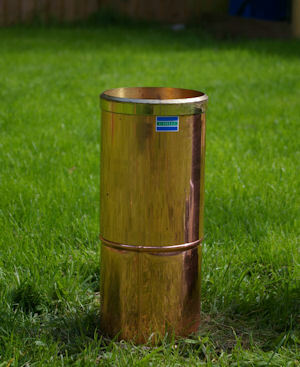 A standard Casella 5" rain gauge is also used. As an addition, electronic measurements are also taken using a Davis VP2 Pro+ AWS which feeds directly back to a PC enabling the production of continuous 5 minute data sets. 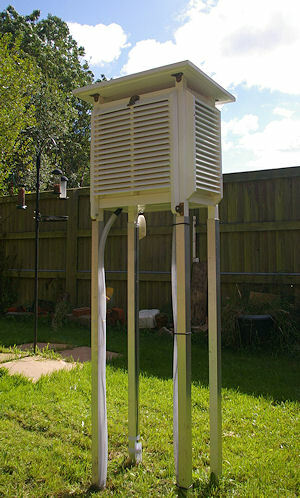 Parameters which are measured electronically are wind speed (anemometer at 10 metres) and direction, grass minimum, soil temperatures at 10, 30 and 100 cm depth, rain intensity (via a tipping bucket rain gauge), UV Index, solar radiation and sunshine duration (Instromet R&D type Sun Sensor). There is also a webcam and gives a 'fish-eye 170° view of the sky above this weather station location. 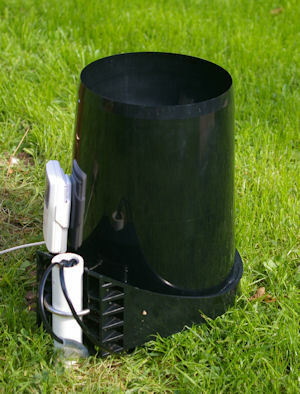 There is also a Boltek Stormtracker lightning detector that detects lightning strikes up to 800 kilometres away. A 'live' web page that shows the lightning strikes in real-time and places them on a map. It also differentiates between cloud to ground and cloud to cloud lightning strikes. The site is situated on a relatively wide valley floor of the lower reaches of the River Otter, near Dotton and north of the village of Otterton. The site is sheltered to the east and west, and slightly exposed to the north, and rather exposed to the south. The geology of the area is predominantly Otter Sandstone of Triassic age with the soils being sandy and characteristically red in colour. The close proximity of the sea (2 kilometres) to the south-east of this weather station means that is has a strong influence on the climate here, moderating high temperatures during the summer with a sea breeze, and making severe frosts a rarity. The Stevenson Screen situated in my garden contains minimum and maximum thermometers plus the temperature and humidity sensor for the Davis AWS. 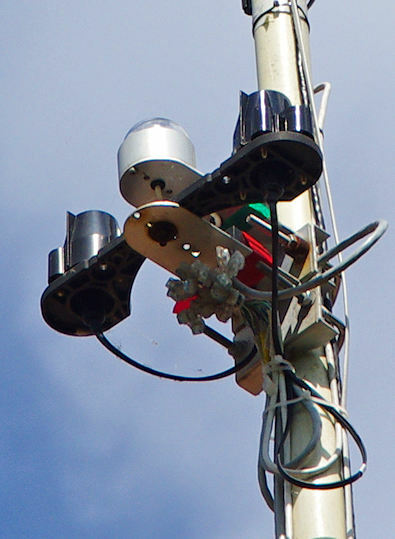 The two rain recorders are situated in a open exposure away from trees and other obstacles that could effect the accuracy. The gauge on the left is a standard Casella 5" copper gauge, and the right hand photo shows the Davis AWS tipping bucket gauge recording in 0.2 mm increments. 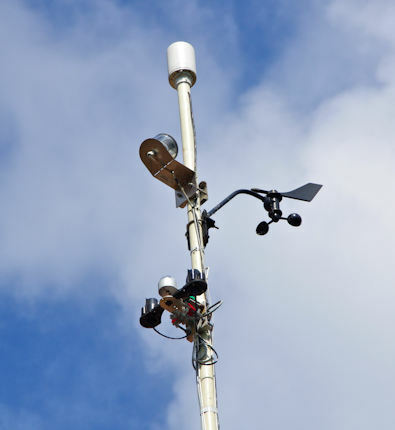 The anemometer, UV, solar radiation and sunshine duration sensors are attached to a 2" mast. The anemometer is 10 metres above the ground, and about 2 metres above the apex of the roof of the house. Zooming in on the UV, solar and sunshine sensors. The UV and solar radiation sensors are part of the Davis AWS, whilst the sunshine duration sensor is the R&D type made by Instromet Ltd.